Plexus Slim Reviews - Does It Really Work? Plexus Slim is a weight loss supplement that claims to be able to help you maintain healthy blood sugar, cholesterol, and lipid levels, while also burning fat in all your problem areas. Plexus Slim is a microbiome activating pink drink that features a patent-pending blend of six ingredients the company claims will improve your digestive health, support healthy glucose metabolism, and help you lose weight. Just tear open a packet, pour the powder into 12–20 ounces of water 30–60 minutes before eating a meal, and repeat one to two times per day. According to the website, Slim's ingredients immediately go to work promoting the growth of good gut microbes like Lactobacillus, Bifidobacterium, and Akkermansia. Together, they say it’s “clinically demonstrated to improve your gut health and promote weight loss,” without the use of artificial sweeteners, flavors, or preservatives, as well as gluten, animal byproducts, or GMO ingredients. Can you realistically expect these benefits from Plexus Slim? Are there other supplements that should also be on your radar? We’ll help you find actionable answers, starting with a few basics. How Does Plexus Slim Work? In Probiotics 101, we explain that beneficial bacteria species like Lactobacillus and Bifidobacterium have been clinically shown to help improve digestion and boost immune function, and deliver relief from conditions like bloating, gassiness, diarrhea, and irritable bowel syndrome (IBS), to name just a few. On the other hand, prebiotics act as food to help these beneficial bacteria thrive upon reaching your digestive tract. Specifically, Plexus Slim is classified as an XOS (xylooligosaccharide) prebiotic, which uses xylose sugar polymers that are non-caloric and undigestible by humans. Plexus advertises that Slim’s prebiotic formula has been clinically shown to increase Lactobacillus levels by 365 times, Bifidobacterium by 290 times, and Akkermansia microbes by 250 times. A 2015 study showing that XOS prebiotic supplementation helped reduce Howardella, Enterorhabdus, and Slackia bacteria levels, increase Blautia hydrogenotrophica levels and reduce insulin levels. The authors emphasize supplementation "had no effect on body composition, HOMA-IR, serum glucose, triglyceride, satiety hormones, and TNFα," however. A 2007 systematic review of randomized controlled trials, which concluded that chromium supplementation “significantly improved glycemia among patients with diabetes.” Again, though, they clarified this result was not experienced by people without diabetes. Together, while there is mounting clinical support that an XOS prebiotic could help beneficial bacteria flourish and therefore lead to a balanced digestion and immune function, we think it’s important to maintain realistic expectations about Plexus’s claims regarding its ability to promote meaningful weight loss. According to sites like WebMD, the Natural Medicines Database, and Examine.com, taking between 50 mcg and 1,000 mcg of chromium per day may help those with diabetes lower their fasting blood sugar and insulin levels, as well as help their insulin work better, decrease weight gain and fat accumulation, and lower LDL cholesterol. Similarly, alpha-lipoic acid may help those with type 2 diabetes reduce blood sugar, and might assist otherwise healthy but overweight individuals with slightly decreasing their weight. Green coffee bean contains caffeine, which may help reduce appetite, although these same sites indicate there’s insufficient clinical evidence supporting its ability to reduce weight or impact fat accumulation in any way. It’s the same story when it comes to mulberry fruit and Garcinia cambogia as well. Could Plexus Slim’s Ingredients Cause Side Effects? The Plexus website notes Slim isn't recommended for use by children under 18, and that you should consult with your physician beforehand if you’re pregnant or nursing. We’ve learned from past research that probiotic supplementation can cause side effects like mild, temporary digestive upset, bloating, and gassiness as your bacteria levels re-balance. While this same level of clinical support doesn’t exist for prebiotics, it makes sense that you might experience similar side effects as beneficial bacteria flourish. Furthermore, WebMD and the Natural Medicines Database indicate that chromium may cause nausea, headaches, dizziness, and mood changes in some people, especially when taken in doses higher than 1,000 mcg (no other circumstances noted). And because green coffee bean contains caffeine, you might experience related side effects like nervousness, upset stomach, and increased heart rate if you’re especially sensitive to stimulants. With this said, Slim contains very little caffeine. Finally, these same sites report there isn’t enough information to know whether or not mulberry is safe for supplementation. How Much Does Plexus Slim Cost? Plexus Slim is available in raspberry, lemon, and watermelon flavors. If purchased from their website, 30 packets are priced at $89.95 as a one-time purchase, or $84.95 if you subscribe to monthly automatic shipments, plus shipping and applicable taxes. You can also purchase Slim through an independent Plexus Ambassador for the same price, or on Amazon for $99. An Ambassador is an independent distributor who purchases Plexus products at wholesale, sells them to the public, and earns commissions from sales. They can also sign up other Ambassadors who become part of their “downline,” which allows them to earn commissions from their sales as well. Plexus offers a 60-day money back guarantee on all of their products, Slim included, which you can request by calling (480)998-3490 or sending a message via the contact form on their website. Are There Other XOS Prebiotic Powders Like Plexus Slim? There are perhaps hundreds of prebiotic dietary supplements competing in the same marketplace as Plexus Slim, many of which also use xylooligosaccharides as a bacterial food source, contain non-GMO ingredients, are free of artificial flavors or preservatives, and that promise to boost healthy gut bacteria levels. Plexus Slim $89.95; $3 per serving 1,000 mg xylooligosaccharides per dose. Also contains chromium, green coffee bean, Garcinia cambogia ALA, and mulberry. Advertises weight loss. Biome Fuel Advanced Prebiotic Supplement $27.97; $0.47 per serving 1 g xylooligosaccharides per dose. Also contains 3 g inulin. Great Gut Oligo30 Prebiotic $34.97; $0.85 per serving Includes fructooligosaccharides (FOS), potato starch, PreticX 70P XOS, kiwi pectin, and cocoa powder. Hyperbiotics Organic Prebiotic Powder $24.65; $0.47 per serving No XOS or FOS. Fiber-based w/acacia fiber, Jerusalem artichoke fiber, and green banana flour. Protocol for Life Balance XOS Prebiotic Powder $20; $0.65 per serving Only ingredient: 1.55 g xylooligosaccharides. Pinnaclife Prebiotic Fiber $17.99; $0.60 per serving Contains 11.7 g of digestion-resistant maltodextrin. Additional ingredients include vitamins B3 and B6, Olivamine10 Max proprietary blend, and green tea, red wine, and grapevine extracts. Also available in individual packets. Cutting Edge Cultures Prebio Plus Prebiotic Fiber $25; $0.22 per serving Contains only a 2 g proprietary blend of inulin, acacia, and fructooligosaccharides. While consumers are undoubtedly flush with choices when it comes to prebiotic powders, choosing between all of them is as easy as deciding which factors are most important to you. For example, with a $25 price tag and 112 servings per container, Cutting Edge Cultures offers the lowest price among competitors above. On the other hand, at nearly $90 and with only 30 servings, Slim's per-serving price is almost 14 times greater than Cutting Edge's. And based on our experience investigating thousands of dietary supplements over the years, consumers don’t typically experience better results by paying more for one. Still, Plexus Slim is the only option in our table that’s advertised as promoting weight loss. Although, as we discussed earlier, the company doesn’t cite any verifiable clinical trials to support this claim. From an ingredients perspective, with just 1.55 grams of xylooligosaccharides per serving, Protocol for Life Balance is the most paired-down prebiotic powder above. Comparatively, Pinnaclife contains several added ingredients, most of which are part of a proprietary blend so consumers can't be sure exactly how much of each it includes. Pinnaclife also contains maltodextrin as a food source for beneficial bacteria, whereas other supplements—such as Plexus Slim—use xylooligosaccharides (xylan sugars), fructooligosaccharides (fruit sugars), galactooligosaccharides (milk sugars), or lactulose (derived from lactose). While MedlinePlus reports that lactulose is especially useful for relieving constipation, we didn't encounter clinical support during our research that any one of these prebiotic substances—on their own—will deliver meaningfully better digestion-related benefits than the others. Where does all of this leave you when it comes to Plexus Slim? Let’s wrap everything up in the next section. Our View: Should You Buy Plexus Slim? At $3 per serving, Plexus Slim is priced almost five times higher per dose than the next closest popular option in our table above, Great Gut Oligo30 Prebiotic. And based on what consumers typically report about dietary supplements in general, paying more for one often doesn’t lead to substantially better results. From this perspective, you might be able to achieve many of the same gut-related benefits, but at a much lower price. When asked about the level of value provided by the Plexus Slim supplement, clinical dietitian Robert Santos-Prowse pointed out that, according to the Plexus Slim study, people using the supplement lost an average of 2.33 pounds over those who didn’t take the supplement. If you follow the same eight-week protocol at Plexus Slim‘s pricing, Santos-Prowse points out you’ll have a “total cost (plus tax and shipping) of about $336” and that the money you pay to lose an extra 2.33 pounds “seems like a very poor return on investment." On the other hand, if you don’t mind paying a premium price for a supplement from a national brand who’s been in business since 2006, and one that contains a patent-pending blend of ingredients, then Slim might fit the bill. It also might make sense if you place a great deal of importance on becoming a Plexus Ambassador and trying to make money by selling this product. Just keep in mind that when it comes to multi-level marketing (MLM) ventures, most independent salespeople don’t turn a profit, and many find they make more money recruiting others than merely selling products. I tried the pink drink two years ago and loved it. It suppressed my appetite and I lost weight without exercise. They changed the flavor of the pink drink and I have purchased it twice and noticed nothing. It's not the same. It doesn't taste as good as the old drink and didn't do anything as far as suppressing my appetite. I am looking for something else now to jump start my weight loss. Hey Cameron! Did you know the company had the old formula now with prebiotic? The XOS (watermelon) slim as well as the HC (Hunger Control) slim. Also, the new MetaBurn product is AMAZING! I haven’t lost weight with Plexus in four years. I use the products for many other health reasons. But since starting the MetaBurn in the new year - I’ve lost 12 pounds! You should give it a try! I am near the end of a 30-day trial with Plexus Slim. When I agreed to join this trial, I told them that I would not change my diet or activity during the trial period. When I test something, I want to make sure that any improvements are most likely the result of the item I'm testing. The bag says to "eat healthy and exercise." That alone would cause a person to lose weight. I have not seen any difference in weight or energy level. I get the same energy boost from the ProbioSlim I buy at GNC for far less cost. Any problems I had, such as a dull headache were labeled as detox. I missed one day and paid for it when I took Plexus Slim the next day. Anything I ate passed quickly through my system. Regarding the price, one bag of 30 Plexus Slim is about $100 including shipping. After a while, it is recommended that you increase to two pink drinks a day, which doubles your price. Then, of course, there are other products that will take care of all kinds of things. It's an MLM, so everything is overpriced. I was encouraged to become an ambassador and sell Plexus to three friends. I was told that they would end up paying for my Plexus because of the commission. I don't want to do that to anyone. I'm going back to my GNC ProbioSlim! I was having digestive problems, etc. and someone gave me a month's supply of Plexus BioCleanse and also their ProBiotic. It set up a very severe reaction within me - it was like dynamite going off within me and practically blew my guts out. It may be that the product actually works, but it should be used with extreme caution, starting off in much smaller doses than recommended. It turns out that I have Crohn's disease, which is probably why I had the extreme reaction. But there is no place to go to for help except self educated lay "doctors". I still think a probiotic is a good idea, but I'm pretty cynical about "cleanses", especially cleanses that you are supposed to keep on taking forever. I really didn't think this was going to work. It sounded too good to be true, and it was just the hundreds of convincing testimonials - some even from friends, that led me to be willing to see for myself. First the simple stuff: It actually DOES taste great. Much like a liquid cherry tootsie roll. It's diabetic friendly; so the sweet comes from Lohan fruit (monk fruit) and Stevia only. It is pink because of beet root extract. Totally natural, and from my own diligent research - full of safe, good stuff. Nonetheless I didn't think it would DO anything. Well, here is what I found. Over the course of days and weeks of using it daily a LOT of great things happened. I stopped wanting to finish full meals, much less get seconds, but I still enjoyed my food. I stopped snacking - just because I never felt drawn to do so. Crazy, for me, to experience that kind of liberating thing. I also just felt more balanced mood wise and started waking up more restful. After a month I lost 8 lbs and was really excited because it was seemingly because of two things. 1. I simply had total control over cravings like never before and was eating less altogether & actually craving good foods 2. The product somehow triggers the body to release stored fat. Overall extremely pleased and just wanted people to know. I started using Plexus products 15 months ago. I was SUPER skeptical, in fact, I took the ingredients lists to my OBGYN before I tried the products. He did a thorough search for me on not just the ingredients but the company as well. He was impressed with the quality of the ingredients, and said right off the bat, that 3 of the ingredients in the Slim were known to have successful results for weight loss. He gave me the thumbs up, so I ordered. The reason I was interested in trying it, was because I was always fatigued, I had just finished weaning my 4th son from nursing and I was gaining weight, was extremely moody with my kids, and overall felt horrible. I had tried "other" health programs (not products) but they weren't my thing. I knew what it took to get healthy, I just needed something to make it a little easier during that transition , to help me not feel deprived and tempted by my sweet tooth. In my experience (I started using the products on Dec. 5th-yes, I was glutton for punishment trying to lose weight through the holidays! ), I noticed my fatigue had disappeared after 3-4 days of using the products. On Christmas day, I realized I had NO desire for dessert and felt full after only eating 1/3 of what was on my plate. By New Year's day, I had lost 5 pounds. I was no longer feeling the battle between me and sweets, but more importantly, I was desiring healthier foods. I was having less mood swings, I was much happier, energized and was sleeping better. After 6 months, I had dropped 4 pant sizes, I have backed off of some of the products, and I'm still down 19 pounds, and with the help of Plexus, it has been a great tool to help with the transition into a healthier lifestyle! My husband has now lost 30 lbs, my mom is off of her cholesterol meds, and my aunt is off her Thyroid Meds (according to her DR, thanks to Plexus)! The customer service on the phone can be a little inconsistent, but I grant them a little grace because I know they are growing tremendously fast due to their success; however, I have never had any issues with refunds as long as it is requested within the 60 days (so, if you call them on day 58 and tell them you want your money back, you are good to go. If you call on day 61, it's a missed opportunity). I've never had to mail anything back. They ask if the package has been opened, and if it was, you keep it, if it is still sealed, then it would need to be returned and the credit will occur upon receipt. My 11-year old son has actually thanked me for "doing Plexus," because he says it gave him his mom back. Thank you Plexus for rescuing me. I have used this product for six months, no problem and I have had some weight loss. This product works for some and not for others, everyone is different. For those people who complain about return policies and charges on their credit cards, you might want to learn to read. The agreement/contract you sign whether as a preferred customer or ambassador (distributor) specifically states what will happen and how. If you can't bother to read what you are signing or agreeing to when you click on a the submit button then you have no one to blame but yourself. Learn to take responsibility for your own actions. I have been taking Plexus Slim plus Accelerator for 5 weeks and have lost just shy of 13 pounds. I am happy. I haven't struggled or gone on some wild exercise frenzy that I wont continue. I eat breakfast and within 45 minutes mix the pink into 24 ounces of water and take the accelerator. It has been that easy and I actually enjoy drinking plain old water all day long. I have been on my weight loss journey since November and started taking Plexus Slim over a month ago. I had been steadily losing 1lb per week with diet and exercise since November. Since starting Plexus, I have been loosing 2-3 lbs per week and have had so much energy that some days I am doubling up on my workouts. Even my trainer has started taking it. I would try it, you can even buy a 3 day or 7 day trial pack. Help yourself with your weight loss, as well as your energy, blood pressure, blood sugar levels, cholesterol levels and more. This business is ridiculous. It has a "60 day money back refund" yet to qualify for this refund. You are required to return the product, within 5 days of receipt, in the original packaging and in re-sellable condition. I have tried twice to apply for a refund, once two weeks into taking the product, and was told I was required to "trial it for at least 60 days" so, I tried it for the 60 days then asked for a refund, and was told it should have been returned. How on earth do you return a product you've swallowed? It is a total joke. Beware of handing over any money to these people. I have lost no weight, however I have lost close to $500. It sounds like it was more of a misunderstanding than a scam. If you buy Retail or Preferred, one phone call will get you a refund within your 1st 60 days of trying the product. We are not required to return the products because, yes, it would have been consumed. If you become an Ambassador, you only have 5 days to return the product and it has to be in resale condition. And did you buy all of the products at once to have paid close to $500 in two months. I wonder if you took them properly and with the correct water intake? I would love to help you revisit Plexus Worldwide. Our company is built on trustworthiness and honesty. Take care. I tried Plexus for six months and never lost anything but money. I signed up to sell it and found the company did not honor compensation plan either! What a joke! Stay away from this one! Were you taking the products consistently and correctly? Did you drink at least half your body weight in ounces of water? And I would love to hear how they didn't honor the compensation plan. I've been an Ambassador almost a year with an amazingly successful upline. Perhaps you needed a better Sponsor Ambassador. And for the prices on the website, they are all listed for Retail and Preferred. I would love to help you give Plexus another shot! 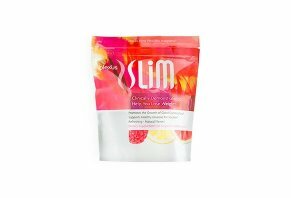 Write a Review for Plexus Slim!